From 1951 to 1952, Operation Ezra and Nehemiah airlifted between 120,000 and 130,000 Iraqi Jews to Israel via Iran and Cyprus. The massive emigration of Iraqi Jews was among the most climactic events of the Jewish exodus from Arab and Muslim countries. The operation is named after Ezra and Nehemiah, who led the Jewish people from exile in Babylonia to return to Israel in the 5th century BC, as recorded in the books of the Hebrew Bible that bear their names. Most of the $4 million cost of the operation was financed by the American Jewish Joint Distribution Committee. A change in Iraqi Jewish identity occurred after the violent Farhud against the Jews of Baghdad, on June 1–2, 1941 following the collapse of the pro-Nazi Golden Square regime of Rashid Ali al-Kaylani, during which at least 180 Jews were killed during two days of riots. In some accounts the Farhud marked the turning point for Iraq's Jews. Other historians, however, see the pivotal moment for the Iraqi Jewish community much later, between 1948–51, since Jewish communities prospered along with the rest of the country throughout most of the 1940s. and many Jews who left Iraq following the Farhud returned to the country shortly thereafter and permanent emigration did not accelerate significantly until 1950–51. Either way, the Farhud is broadly understood to mark the start of a process of politicization of the Iraqi Jews in the 1940s, primarily among the younger population, especially as a result of the impact it had on hopes of long term integration into Iraqi society. In the direct aftermath of the Farhud, many joined the Iraqi Communist Party in order to protect the Jews of Baghdad, yet they did not want to leave the country and rather sought to fight for better conditions in Iraq itself. At the same time the Iraqi government that had taken over after the Farhud reassured the Iraqi Jewish community, and normal life soon returned to Baghdad, which saw a marked betterment of its economic situation during World War II. In the first half of the 1940s, Mossad LeAliyah Bet began sending emissaries to Iraq to begin to organize emigration to Israel, initially by recruiting people to teach Hebrew and hold lectures on Zionism. In late 1942, one of the emissaries explained the size of their task of converting the Iraqi community to Zionism, writing that "we have to admit that there is not much point in [organizing and encouraging emigration].... We are today eating the fruit of many years of neglect, and what we didn't do can't be corrected now through propaganda and creating one-day-old enthusiasm." In addition, the Iraqi people were incited against Zionism by propaganda campaigns in the press, initiated by Nuri al-Said. The Iraqi Jewish Leaders had declared anti Zionist statements during the 1930, but in 1944, they boldly and vehemently refused a similar request. They did so as a protest against the authorities’ treatment of Jewish community and not because they had changed their minds about Zionism. The situation of the Jews was perceived by some to be increasingly risky as the decision on the fate of Palestine approached, and after 1945, there were frequent[vague] demonstrations in Iraq against the Jews and especially against Zionism. With the affirmation of the 1947 Partition Plan for Palestine, and Israeli Independence in 1948, the Jews began to feel that their lives were in danger. "Immediately after the establishment of the State of Israel, the Iraqi government adopted a policy of anti-Jewish discrimination, mass dismissals from government service, and arrests." Jews working in government jobs were dismissed, and hundreds were arrested for Zionist or Communist activity, both real and imagined, tried in military courts, and were given harsh prison sentences or heavily fined. Nuri al-Said admitted that the Iraqi Jews were victims of bad treatment. On October 23, 1948, Shafiq Ades, a respected Jewish businessman, was publicly hanged in Basra on very dubious charges of selling weapons to Israel and the Iraqi Communist Party, an event that increased the sense of insecurity among Jews. During this period, the Iraqi Jewish community became increasingly fearful. 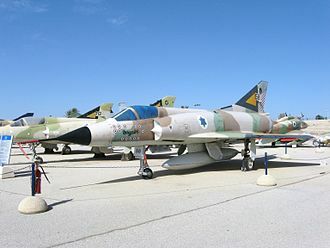 The Jewish community general sentiment was that if a man as well-connected and powerful as Shafiq Ades could be eliminated by the state, other Jews would not be safe any longer. Like most Arab League states, Iraq initially forbade the emigration of its Jews after the 1948 war on the grounds that allowing them to go to Israel would strengthen that state; however, by 1949 the Iraqi Zionist underground was smuggling Jews out of the country to Iran at about a rate of 1,000 a month, from where they were flown to Israel. At the time, the British believed that the Zionist underground was agitating in Iraq in order to assist US fund-raising and to "offset the bad impression caused by the Jewish attitudes to Arab refugees". The Iraqi government took in only 5,000 of the c.700,000 Palestinians who became refugees in 1948–49 and refused to submit to American and British pressure to admit more. In January 1949, the pro-British Iraqi Prime Minister Nuri al-Said discussed the idea of deporting Iraqi Jews to Israel with British officials, who explained that such a proposal would benefit Israel and adversely affect Arab countries. According to Meir-Glitzenstein, such suggestions were "not intended to solve either the problem of the Palestinian Arab refugees or the problem of the Jewish minority in Iraq, but to torpedo plans to resettle Palestinian Arab refugees in Iraq". 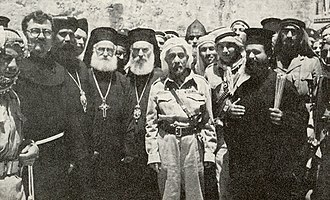 In July 1949, the British government proposed to Nuri al-Said a population exchange in which Iraq would agree to settle 100,000 Palestinian refugees in Iraq; Nuri stated that if a fair arrangement could be agreed, "the Iraqi government would permit a voluntary move by Iraqi Jews to Palestine." The Iraqi-British proposal was reported in the press in October 1949. On October 14, 1949, Nuri al-Said raised the exchange of population concept with the economic mission survey. At the Jewish Studies Conference in Melbourne in 2002, Philip Mendes summarised the effect of al-Said’s vacillations on Jewish expulsion as: "In addition, the Iraqi Prime Minister Nuri al-Said tentatively canvassed and then shelved the possibility of expelling the Iraqi Jews, and exchanging them for an equal number of Palestinian Arabs." In March 1950, the Iraqi government reversed their earlier ban on Jewish emigration to Israel and passed a special bill of one-year duration permitting Jewish emigration on condition that Jews renounce their Iraqi citizenship. According to Abbas Shiblak, many scholars state that this was a result of British, American and Israeli political pressure on Tawfiq al-Suwaidi's government, with some studies suggesting there were secret negotiations. According to Ian Black, the Iraqi government was motivated by "economic considerations, chief of which was that almost all the property of departing Jews reverted to the state treasury" and also that "Jews were seen as a restive and potentially troublesome minority that the country was best rid of." At first, few would register, as the Zionist movement suggested they not do so until property issues and legal status had been clarified. After mounting pressure from both Jews and the Government, the movement relented and agreed to registrations. Immediately following the March 1950 Denaturalisation Act, the emigration movement faced significant challenges. Initially, local Zionist activists forbade the Iraqi Jews from registering for emigration with the Iraqi authorities, because the Israeli government was still discussing absorption planning. However, on April 8, 1950, a bomb exploded in a Jewish cafe in Baghdad. 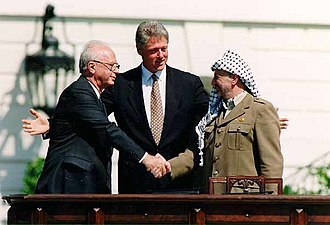 A meeting of the Zionist leadership later that day agreed to allow registration without waiting for the Israeli government. 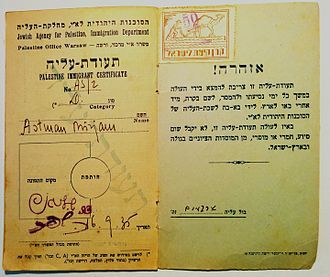 A proclamation encouraging registration was made throughout Iraq in the name of the State of Israel. At the same time, immigrants were also entering Israel from Poland and Romania, countries in which Prime Minister David Ben-Gurion assessed there was a risk that the Communist authorities would soon "close their gates", and Israel therefore delayed the transportation of Iraqi Jews. According to Esther Meir-Glitzenstein, "The thousands of poor Jews who had left or been expelled from the peripheral cities, and who had gone to Baghdad to wait for their opportunity to emigrate, were in an especially bad state. They were housed in public buildings and were being supported by the Jewish community. The situation was intolerable." The delay became a significant problem for the Iraqi government of Nuri al-Said (who replaced Tawfiq al-Suwaidi in mid-September 1950), as the large number of Jews "in limbo" created problems politically, economically and for domestic security. "Particularly infuriating" to the Iraqi government was the fact that the source of the problem was the Israeli government. The emigration law was to expire on March 1951, one year after the law was enacted. At first, the Iraqi emigration law allowed the Jews to sell their property and liquidate their businesses. On 10 March 1951, 64,000 Iraqi Jews were still waiting to emigrate, the government enacted a new law which extended the emigration period whilst also blocking the assets of Jews who had given up their citizenship. Departing Jews were permitted to take no more than $140 and 66 pounds of luggage out of the country, and were also prohibited from taking jewelry with them. 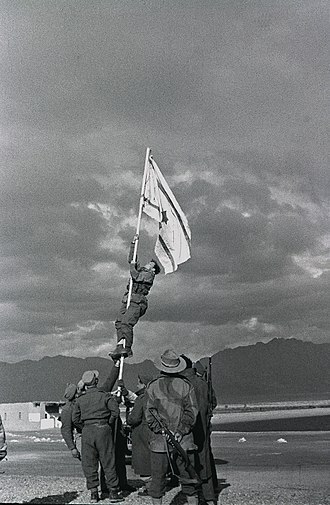 In March 1951, the Israeli government organized an airlift operation. Waiting in Baghdad was a tense and difficult period. Some 50,000 Jews signed up in one month, and two months later there were 90,000 on the list. This mass movement stunned the Iraqi Government, which had not expected the number of immigrants to exceed 8,000, and feared that administrative institutions run by Jews might collapse. At the same time, the Zionist movement issued a manifesto calling on the Jews to sign up for immigration. It started with the following: "O, Zion, flee, daughter of Babylon," and concluded thus: "Jews! Israel is calling you — come out of Babylon!". The operation was conducted by the Near East Transport Company and the Israeli national airline El Al. The flights began in mid-May 1951, when Iraqi Jews were airlifted to Cyprus, from where they were flown to Israel. Several months later, a giant airlift operated directly from Baghdad to Lod Airport. Operation Ezra and Nehemiah ended in early 1952, leaving only about 6,000 Jews in Iraq. 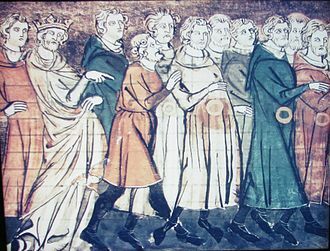 Most of the 2,800-year-old Jewish community immigrated to Israel. After the initial emigration, the number of Jews in Baghdad decreased from 100,000 to 5,000. Although they enjoyed a brief period of security during the reign of Abdul Karim Qassim, later regimes would seriously increase the persecution of Iraqi Jews. In 1968, there were only about 2,000 Jews still living there. On January 27, 1969, nine Jews were hanged on charges of spying for Israel, causing most of the remaining community to flee the country. Today, fewer than 100 Jews remain. Until Operation Ezra and Nehemiah, there were 28 Jewish educational institutions in Baghdad, 16 under the supervision of the community committee and the rest privately run. The number of pupils reached 12,000 and many others learned in foreign and government schools. About 400 students studied medicine, law, economics, pharmacy, and engineering. In 1951, the Jewish school for the blind was closed; it was the only school of its type in Baghdad. The Jews of Baghdad had two hospitals in which the poor received free treatment, and several philanthropic services. Out of sixty synagogues in 1950, there remained only seven after 1970. Most public buildings were seized by the government for paltry or no compensation. Those Jewish refugees have been fed, housed and absorbed by Israel. ^ "Operations Ezra & Nechemia: The Aliyah of Iraqi Jews". Jewish Virtual Library. American-Israeli Cooperative Enterprise. Retrieved June 27, 2008. ^ Szulc 1991, p. 208c, "Avlgur kept Schwartz informed of this enterprise and the Joint was able to finance the lions share of the airlift - $4 million - which in the end brought 120,000 Jews from Iraq to Israel. It was the Joint's largest - but not the last - immigration operation after Israeli independence." ^ Shatz, Adam (2008-11-06). "Leaving Paradise". London Review of Books. pp. 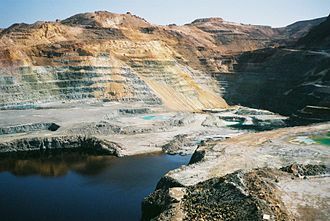 23–25. ISSN 0260-9592. Retrieved 2017-06-23. Yet Sasson Somekh insists that the farhud was not 'the beginning of the end'. Indeed, he claims it was soon 'almost erased from the collective Jewish memory', washed away by 'the prosperity experienced by the entire city from 1941 to 1948'. Somekh, who was born in 1933, remembers the 1940s as a 'golden age' of 'security', 'recovery' and 'consolidation', in which the 'Jewish community had regained its full creative drive'. Jews built new homes, schools and hospitals, showing every sign of wanting to stay. They took part in politics as never before; at Bretton Woods, Iraq was represented by Ibrahim al-Kabir, the Jewish finance minister. Some joined the Zionist underground, but many more waved the red flag. 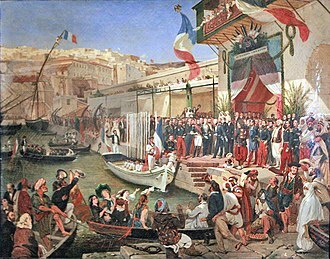 Liberal nationalists and Communists rallied people behind a conception of national identity far more inclusive than the Golden Square's Pan-Arabism, allowing Jews to join ranks with other Iraqis – even in opposition to the British and Nuri al-Said, who did not take their ingratitude lightly. ^ Meir-Glitzenstein 2004, p. 213, Sereni's letter stated "If we thought before we came here and when we started our work that our main task would be to organize and encourage — today we have to admit that there is not much point in either of these activities.... We are today eating the fruit of many years of neglect, and what we didn't do can't be corrected now through propaganda and creating one-day-old enthusiasm.... We have to prepare for the future, to educate a generation of young people, to prepare a young guard that can do our work here. Forming a Zionist organization, a youth movement, a vanguard are the main tasks of the hour." ^ Meir-Glitzenstein 2004, p. 14, "In the first half of the 1940s, the Iraqi people were incited against Zionism by propaganda campaigns in the press, initiated by Nuri al-Said himself." ^ Meir-Glitzenstein 2004, p. 19, "(In 1944) The Jewish Leaders, who had issued anti-Zionist statements in the 1930, now boldly and vehemently refused a similar request. They did so not because they had changed their minds about Zionism but as a protest against the authorities treatment of Jewish community." ^ Bashkin 2012, p. 90, "the general sentiment was that if a man as well-connected and powerful as Adas could be eliminated by the state, other Jews would not be protected any longer." ^ Shiblak 1986 "In a confidential telegram sent on November 2, 1949, the British ambassador to Washington explained ... the general view of officials in the State Department is that the [Zionist] agitation has been deliberately worked up for two reasons: (a) To assist fund-raising in the United States (b) To create favourable sentiments in the United Nations Assembly to offset the bad impression caused by the Jewish attitudes to Arab refugees. They suggest that the Israeli Government is fully aware of the Iraqi Jews, but is prepared to be callous towards the community, the bulk of which, as Dr Elath admitted, has no wish to transfer its allegiance to Israel." ^ Meir-Glitzenstein 2004, p. 296, "Throughout that time (1948–1949), Iraq took in only about 5,000 refugees and consistently refused to admit any more, despite British and American efforts to persuade Iraq and Syria to do more to solve the problem." ^ Shenhav 1999, p. 610, "Shortly after his government assumed power in January 1949, Nuri al-Said toyed with the idea of deporting the Iraqi Jews to Israel; however, the British ambassador in Palestine warned him that such an act could have serious unanticipated repercussions. Israel, the ambassador explained, would welcome the arrival of cheap Jewish labor and would demand that in return the Arab states assimilate Palestinian refugees. In February 1949, the Foreign Office instructed the British ambassador in Baghdad, Sir Henry Mack, to caution Nuri al-Said against expelling the Jews, as this would adversely affect the position of the Arab states." ^ Meir-Glitzenstein 2004, p. 297a, "Nuri's proposals for a forced population exchange were not intended to solve either the problem of the Palestinian Arab refugees or the problem of the Jewish minority in Iraq, but to torpedo plans to resettle Palestinian Arab refugees in Iraq. He knew that Britain and the United States would not condone the deportation of Iraqi Jews to Israel." ^ Shenhav 1999, p. 613, "In July 1949, the British, fearing the decline of their influence in the Middle East, put forward a proposal for a population transfer and tried to persuade Nuri al-Said to settle 100,000 Palestinian refugees in Iraq. A letter sent by the British Foreign Office to its legations in the Middle East spoke of an "arrangement whereby Iraqi Jews moved into Israel, received compensation for their property from the Israeli government, while the Arab refugees were installed with the property in Iraq". The British Foreign Office believed that "the Israeli government would find it hard to resist an opportunity of bringing a substantial number of Jews to Israel." In return, Nuri al-Said demanded that half the Palestinian refugees be settled in the territory of Palestine and the rest in the Arab states. If the refugee arrangement were indeed fair, he said, the Iraqi government would permit a voluntary move by Iraqi Jews to Palestine. Under the terms of the plan, an international committee was to assess the value of the property left behind by the Palestinian refugees who would be settled in Iraq, and they would receive restitution drawn from the property of the Iraqi Jews who would be sent to Palestine.... In October 1949, the world and Israeli press reported the Iraqi-British plan for a population exchange (e.g., Davar, 16 October 1949). The publicity embarrassed the other Arab leaders and caused a stir in the refugee camps of the West Bank and the Gaza Strip. In a message to the Foreign Office, Henry Mack, the British ambassador to Iraq, said that the Palestinian refugees would not agree to settle in Iraq." ^ "Anglo U.S split on policy aggravated by Iraq offer". The Palestine Post, Jerusalem. 19 Oct 1949. ^ Tovy 2014, p. 163, "On Oct 1949 ... al-Said raised the exchange of population concept with them (their economic mission survey)." ^ Mendes, Phillip (2002). "The Forgotten Refugees: the causes of the post-1948 Jewish Exodus from Arab Countries - The Case of Iraq". 14th Jewish Studies Conference, Melbourne. Archived from the original on January 13, 2013. ^ Shiblak 1986, p. 79, "Many studies, however, while not rejecting all the official Iraqi justifications out of hand, see the law as the result of continuous pressure on Iraq from the British, American, and Israeli governments. Some studies go further, regarding Law 1/1950 as the culmination of secret negotiations involving these parties together with the al-Suwaidi government." ^ Meir-Glitzenstein 2004, p. 202, "For the first few weeks after the enactment of the law, the Zionist activists forbade registration; they were waiting for a clarification of the aliyah routes and a decision by the Israeli government as to its willingness to take in the Jews of Iraq. This ban heightened the tension in the Jewish community. The Zionist leadership (that is, the leaders of Hehalutz and the Haganah, along with the emissaries) convened and discussed the registration issue in view of the pressure from huge numbers of people who wanted to sign up. At the end of the meeting, the leadership decided to instruct the people to register and not to wait for instructions from Tel Aviv. 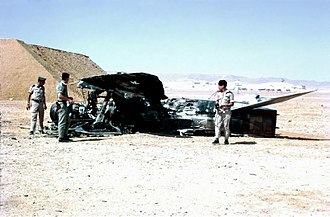 A bomb had blown up that day in a Jewish cafe, wounding four people, and the two events were presumably related… The activists' faith in the Zionist ideal and their zeal to implement it, combined with their confidence that Israel would not ignore the aliyah needs of Iraqi Jewry, paved the way to this decision. To inform the Jews of the decision, the leadership issued a proclamation... The fact that the proclamation was written in the name of the State of Israel lent it added force and gave the Jews the impression that the State of Israel and the Israeli government were calling on them to leave Iraq and move to Israel." ^ Meir-Glitzenstein 2004, p. 204, "As a result, by September 1950, while 70,000 Jews had registered to leave, many selling their property and losing their jobs, only 10,000 had left the country." ^ Meir-Glitzenstein 2004, p. 205, "in mid September 1950, Nuri al-Said replaced...as prime minister. 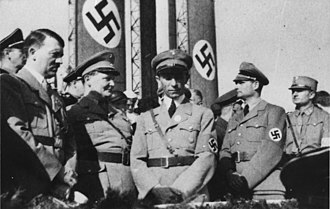 Nuri was determined to drive the Jews out of his country as quickly as possible." ^ Bashkin 2012, p. 277 "By 1951 Sa'id realized that the Jews were about to leave Iraq, and wanted to see them depart immediately regardless of the Palestinian question. The British report that he asked the Jordanians to stop deceiving refugees on the possibility of their being admitted to Israel and for all Arab countries to take steps to resettle them. FO 371/91635, 15 January 1951, from Sir A. Kirkbride (Amman) to Foreign Office (London) (a report on Nuri Sa'id's visit to Jordan)." ^ Kirkbride 1976, pp. 115-117, "It arose from a decision of the Iraqi government to retaliate for the expulsion of Arab refugees from Palestine by forcing the majority of the Jewish community of Iraq to go to Israel. Nuri Said, the Prime Minister of Iraq, who was on a visit to Amman, came out with the astounding proposition that a convoy of Iraqi Jews should be brought over in army lorries escorted by armed cars, taken to the Jordanian-Israeli frontier and forced to cross the line. Q... the passage of the Jews through Jordan would almost certainly have touched off serious trouble amongst the very disgruntled Arab refugees who were crowded into the country. Either the Iraqi Jews would have been massacred or their Iraqi guards would have had to shoot other Arabs to protect the lives of their charges. ... I replied at once that the matter at issue was no concern of His Majesty's Government. Samir refused his assent as politely as possible, but Nuri lost his temper at being rebuffed and he said: 'So. you do not want to do It, do you?' Samir snapped back, 'Of course I do not want to be party to such a crime', Nuri there upon exploded with rage." ^ Gat 2013, pp. 123–125 "He declared to the Arab world that the despatch of large numbers of Jews was intended to expedite the collapse of the infant state of Israel, since its capacity was limited, and it could not absorb the flood of immigrants. One cannot ignore this aspect of the situation. It is highly likely that one of Nuri as-Said's motives in trying to expel large numbers of Jews was the desire to aggravate Israel's economic problems. At the same time, however, he was well aware of Israel's absorption policy, namely her capacity for absorbing immigrants on which she based her future." ^ Meir-Glitzenstein 2004, p. 206 #2, "On 10 March 1951, precisely one year after the Denaturalization Law had come into effect, when 64,000 people were still waiting to emigrate, the Iraqi legislature enacted a law blocking the assets of Jews who had given up their citizenship." ^ "Operation Ezra & Nehemia - The Airlift of Iraqi Jews". www.jewishvirtuallibrary.org. Retrieved 2017-06-23. ^ Meir-Glitzenstein 2004, p. 202, "For the first few weeks after the enactment of the law, the Zionist activists forbade registration; they were waiting for a clarification of the aliyah routes and a decision by the Israeli government as to its willingness to take in the Jews of Iraq. This ban heightened the tension in the Jewish community. On 8 April 1950, the Zionist leadership (that is, the leaders of Hehalutz and the Haganah, along with the emissaries) convened and discussed the registration issue in view of the pressure from huge numbers of people who wanted to sign up. At the end of the meeting the leadership decided to instruct the people to register and not to wait for instructions from Tel Aviv. A bomb had blown up that day in a Jewish cafe, wounding four people, and the two events were presumably related… The activists' faith in the Zionist ideal and their zeal to implement it, combined with their confidence that Israel would not ignore the aliyah needs of Iraqi Jewry, paved the way to this decision. To inform the Jews of the decision, the leadership issued a proclamation... The fact that the proclamation was written in the name of the State of Israel lent it added force and gave the Jews the impression that the State of Israel and the Israeli government were calling on them to leave Iraq and move to Israel." ^ Fischbach, Michael R. (Fall 2008). "Claiming Jewish Communal Property in Iraq". Middle East Report. Retrieved 2010-04-05. Bashkin, Orit (2012). 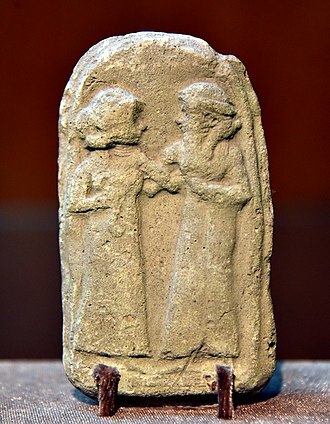 New Babylonians: A History of Jews in Modern Iraq. Stanford University Press. ISBN 978-0-8047-8201-2. Ben-Porat, Mordechai (1998). To Baghdad and Back: The Miraculous 2,000 Year Homecoming of the Iraqi Jews. Gefen Publishing House. ISBN 9789652291950. Black, Ian (1991). Israel's Secret Wars: A History of Israel's Intelligence Services. Grove Press. ISBN 978-0-8021-3286-4. 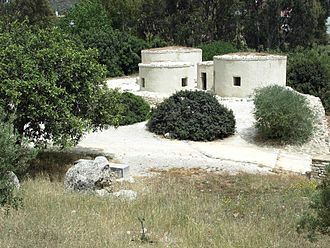 Eriş, Mahir Ünsal; Yahudileri, Kürt (2006). Din, Dil, Tarih, (Kurdish Jews) (in Turkish). Ankara, TR: Kalan Publishing. Gat, Moshe (2013). The Jewish exodus from Iraq : 1948-1951. London: Frank Cass. ISBN 9780714642239. OCLC 833072860. Hakohen, Devorah (2003). 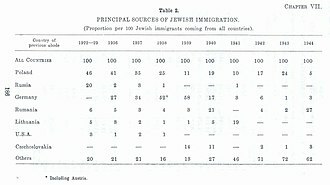 Immigrants in Turmoil: Mass Immigration to Israel and Its Repercussions in the 1950s and After. Syracuse University Press. ISBN 978-0-8156-2990-0. Hillel, Shlomo (1987). Operation Babylon : The Story of the Rescue of the Jews of Iran. Translated by Friedman, Ina. Doubleday. ISBN 9780385235976. OCLC 966124447. Hirst, David (2003). The gun and the olive branch: the roots of violence in the Middle East. Nation Books. ISBN 1-56025-483-1. Retrieved 2010-04-05. Kirkbride, Alec (1976). From the Wings: Amman Memoirs, 1947-1951. Psychology Press. ISBN 9780714630618. Marqusee, Mike (2010). If I am not for myself : journey of an anti-Zionist Jew (2nd ed.). Verso Books. ISBN 9781844674350. OCLC 467772291. Meir-Glitzenstein, Esther (2004). Zionism in an Arab Country: Jews in Iraq in the 1940s. Routledge. ISBN 978-1-135-76862-1. Pasachoff, Naomi E.; Littman, Robert J. (2005). ""Operation Magic Carpet" and "Operation Ezra and Nehemiah"". A Concise History of the Jewish People. Rowman & Littlefield. ISBN 9780742543669. Retrieved June 28, 2008. Rogan, Eugene L.; Shlaim, Avi (2001). The War for Palestine: Rewriting the History of 1948. Cambridge University Press. ISBN 978-0-521-79476-3. Shenhav, Yehouda (1999). "The Jews of Iraq, Zionist Ideology, and the Property of the Palestinian Refugees of 1948: An Anomaly of National Accounting". International Journal of Middle East Studies. 31 (4): 605–630. doi:10.1017/s0020743800057111. ISSN 1471-6380. Shiblak, Abbas (1986). The lure of Zion : the case of the Iraqi Jews. Al Saqi Books. ISBN 9780863560330. OCLC 16711193. Shiblak, Abbas (2005). Iraqi Jews: A history. Saqi Books. ISBN 978-0-86356-504-5. Simon, Reeva; Laskier, Michael; Reguer, Sara (2003). The Jews of the Middle East and North Africa in Modern Times. Columbia University Press. ISBN 9780231507592. OCLC 614998544. Somekh, Sasson (2007). Baghdad, yesterday: The making of an Arab Jew. Ibis Editions. ISBN 9789659012589. OCLC 891546268. Tovy, Jacob (2014). Israel and the Palestinian Refugee Issue: The Formulation of a Policy, 1948–1956. Routledge. ISBN 978-1-317-81077-3. Tripp, Charles (2002). A History of Iraq (Revised ed.). Cambridge University Press. ISBN 9780521529006. The Jews of Iraq By Naeim Giladi. Ezra, called Ezra the Scribe and Ezra the Priest in the Book of Ezra, was a Jewish scribe and a priest. 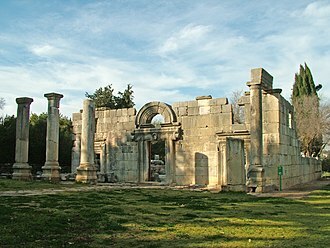 In Greco-Latin Ezra is called Esdras, according to the Hebrew Bible he was a descendant of Seraiah the last High Priest to serve in the First Temple, and a close relative of Joshua the first High Priest of the Second Temple. 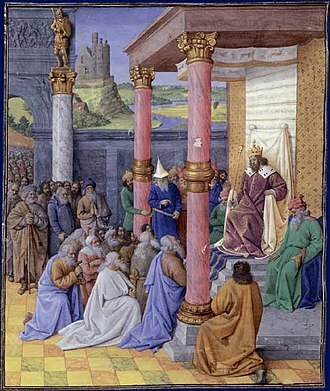 He returned from Babylonian exile and reintroduced the Torah in Jerusalem, according to 1 Esdras, a Greek translation of the Book of Ezra still in use in Eastern Orthodoxy, he was a High Priest. Rabbinic tradition holds that he was only a common priest, several traditions have developed over his place of burial. One tradition says that he is buried in al-Uzayr near Basra, while another tradition alleges that he is buried in Tadif near Aleppo and his name may be an abbreviation of עזריהו‎ Azaryahu, God-helps. 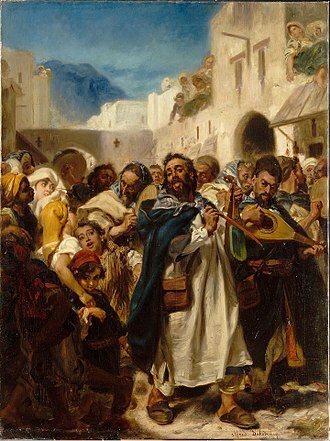 In the Greek Septuagint the name is rendered Ésdrās, from which the Latin name Esdras comes, the Book of Ezra describes how he led a group of Judean exiles living in Babylon to their home city of Jerusalem where he is said to have enforced observance of the Torah. Ezra, known as Ezra the scribe in Chazalic literature, is a respected figure in Judaism. Book of Ezra–Nehemiah The books of Ezra–Nehemiah were originally one scroll, the Jews divided this scroll and called it First and Second Ezra. Modern Hebrew Bibles call the two books Ezra and Nehemiah, as do other modern Bible translations, a few parts of the Book of Ezra were written in Aramaic, and the majority in Hebrew, Ezra himself being skilled in both languages. Ezra led a body of exiles back to Jerusalem, where he discovered that Jewish men had been marrying non-Jewish women. Some years Artaxerxes sent Nehemiah to Jerusalem as governor with the task of rebuilding the city walls, scholars are divided on whether it is based on Ezra–Nehemiah, or reflects an earlier literary stage before the combination of Ezra and Nehemiah accounts. 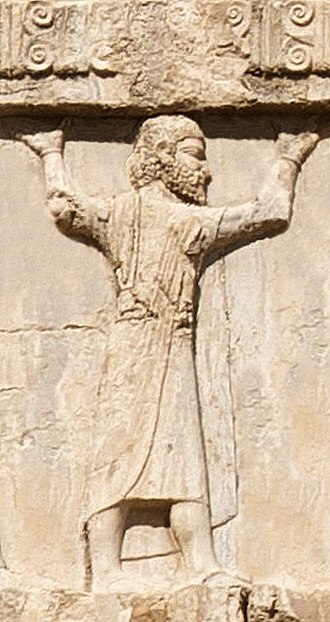 The first-century Jewish historian, deals with Ezra in his Antiquities of the Jews and he preferred 1 Esdras over the canonical Ezra–Nehemiah and placed Ezra as a contemporary of Xerxes, son of Darius – rather than of Artaxerxes. Zionism is the national movement of the Jewish people that supports the re-establishment of a Jewish homeland in the territory defined as the historic Land of Israel. 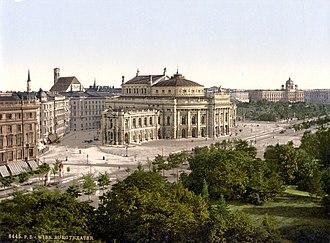 Zionism emerged in the late 19th century in Central and Eastern Europe as a revival movement, in reaction to anti-Semitic. Soon after this, most leaders of the movement associated the main goal with creating the state in Palestine. Since the establishment of the State of Israel in 1948, Zionism continues primarily to advocate on behalf of Israel and to threats to its continued existence. A variety of Zionism, called cultural Zionism and represented most prominently by Ahad Haam, unlike Herzl, the founder of political Zionism, Ahad Haam strived for Israel to be a Jewish state and not merely a state of Jews. Advocates of Zionism view it as a liberation movement for the repatriation of a persecuted people residing as minorities in a variety of nations to their ancestral homeland. The term Zionism is derived from the word Zion, referring to Jerusalem and these groups were collectively called the Lovers of Zion and were seen to encounter a growing Jewish movement toward assimilation. 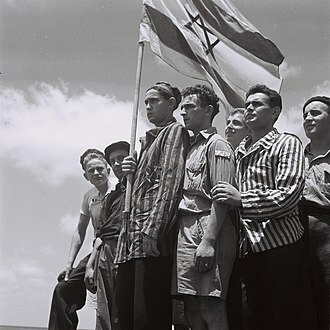 The first use of the term is attributed to the Austrian Nathan Birnbaum, founder of a nationalist Jewish students movement Kadimah, the common denominator among all Zionists is the claim to Eretz Israel as the national homeland of the Jews and as the legitimate focus for Jewish national self-determination. It is based on ties and religious traditions linking the Jewish people to the Land of Israel. Zionism does not have an ideology, but has evolved in a dialogue among a plethora of ideologies, General Zionism, Religious Zionism, Labor Zionism, Revisionist Zionism, Green Zionism. The political movement was established by the Austro-Hungarian journalist Theodor Herzl in 1897 following the publication of his book Der Judenstaat. At that time, the movement sought to encourage Jewish migration to Ottoman Palestine, although initially one of several Jewish political movements offering alternative responses to assimilation and antisemitism, Zionism expanded rapidly. In its early stages, supporters considered setting up a Jewish state in the territory of Palestine. 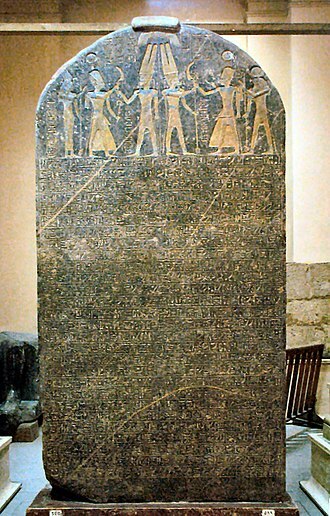 The history of the Jews in Iraq, is documented from the time of the Babylonian captivity c.586 BC. Iraqi Jews constitute one of the worlds oldest and most historically significant Jewish communities, the Talmud was compiled in Babylonia, identified with modern Iraq. 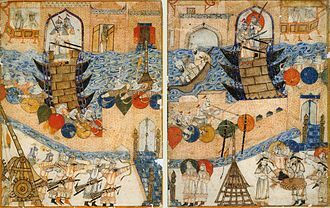 From the Babylonian period to the rise of the Islamic caliphate, the Mongol invasion and Islamic discrimination in the Middle Ages led to its decline. 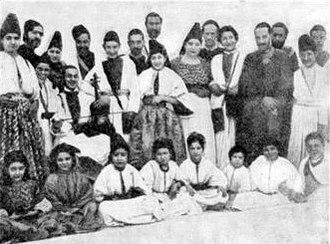 Under the Ottoman Empire, the Jews of Iraq fared better, the community established modern schools in the second half of the 19th century. In the 20th century, Iraqi Jews played an important role in the days of Iraqs independence. Between 1950–52,120, 000–130,000 of the Iraqi Jewish community were transported to Israel in Operation Ezra, in the Bible and the country of Babylonia are not always clearly distinguished, in most cases the same word being used for both. In some passages the land of Babylonia is called Shinar, while in the literature it is called Chaldea. 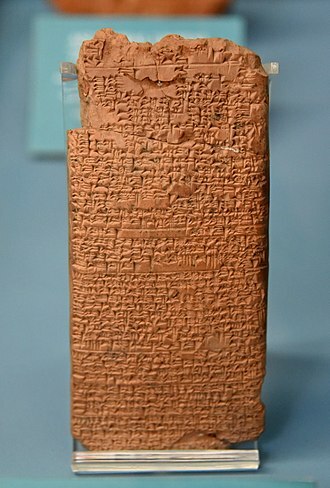 In the Book of Genesis, Babylonia is described as the land in which Babel, Accad, the Tower of Babel was located, and it was the seat of Amraphels dominion. In the historical books Babylonia is frequently referred to, though the lack of a distinction between the city and the country is sometimes puzzling. 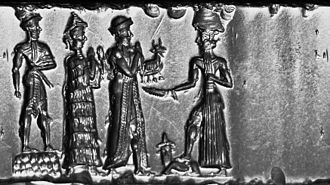 Allusions to it are confined to the points of contact between the Israelites and the various Babylonian kings, especially Merodach-baladan and Nebuchadnezzar. 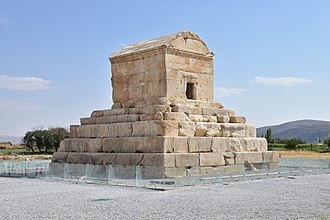 In Books of Chronicles and Nehemiah the interest is transferred to Cyrus, though the retrospect still deals with the conquests of Nebuchadnezzar, in the poetical literature of Israel, Babylonia plays an insignificant part, but it fills a very large place in the Prophets. The Book of Isaiah resounds with the burden of Babylon, though at that time it seemed a far country. In the number and importance of its references to Babylonian life and history, with numerous important allusions to events in the reign of Nebuchadnezzar, Jeremiah has become a valuable source in reconstructing Babylonian history within recent times. 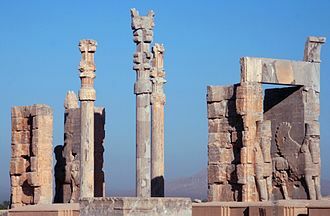 The inscriptions of Nebuchadnezzar are almost exclusively devoted to building operations, three times during the 6th century BC, the Jews of the ancient Kingdom of Judah were exiled to Babylon by Nebuchadnezzar. The Maabarot were refugee absorption camps in Israel in the 1950s. The maabarot began to decline by mid-1950s and were transformed into Development Towns. The last Maabara was closed in 1963, the Hebrew word Maabara derives from the word maavar. 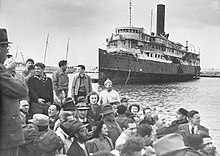 Maabarot were meant to be temporary communities for the new arrivals, immigrants housed in these communities were Jewish refugees mainly from Middle East and North Africa, as well as Holocaust survivors from Europe. The sudden arrival of over 130,000 Iraqi Jews in Israel in the early 1950s meant that almost a third of immigrant camp dwellers were of Iraqi Jewish origin. At the end of 1949 there had been 90,000 Jews housed in camps, by the end of 1951 this population rose to over 220,000 people. More habitable housing had been provided to replace the tents of the immigrant camps, most of maabarot residents were housed in temporary tin dwellings. Over 80% of the residents were Jewish refugees from across Arab and Muslim countries in Middle East, over time, the Maabarot metamorphosed into Israeli towns, or were absorbed as neighbourhoods of the towns they were attached to, and residents were provided with permanent housing. From 1949 to 1959, the state of Israel was, to a varying extent, under a regime of austerity, during which rationing and similar measures were enforced. Soon after establishment in 1948, the state of Israel found itself lacking in both food and foreign currency. In just three and a half years, the Jewish population of Israel had doubled, increased by nearly 700,000 immigrants, the Israeli government instigated measures to control and oversee distribution of necessary resources to ensure equal and ample rations for all Israeli citizens. In addition to the problems with the provision of food, national austerity was required because the state was lacking in foreign currency reserves. Export revenues covered less than a third of the cost of imports, most financing was obtained from foreign banks and gas companies, which, as 1951 drew to an end, refused to expand the available credit. In order to supervise austerity, the minister, David Ben-Gurion, ordered the establishment of the Ministry of Rationing and Supply. Many of them were merchant traders who settled on trade routes and formed immigrant communities in their new homelands. The main Baghdadi Jewish communities in Asia are found in India, Singapore, the majority of Baghdadi Jews lived in the Indian cities of Mumbai and Kolkata. The ethnic Jewish community in Penang is now extinct with the death of its last member in 2011, some smaller Jewish communities, such as the one in Bangkok, trace their first founders to Baghdadi Jewish traders who worked and settled down in the region. There are only one or two remaining Baghdadi Jews in Bangladesh, though there had been significant Persian Jewish communities in India since early Mughal times, the first Arabic-speaking Iraqi Jews arrived in the 18th century. In 1730, Joseph Semah arrived in Surat from Baghdad and established the Surat Synagogue, there was already an established Baghdadi Jew community by with its center in Surat. Surat was a trading port in the 16th and 17th centuries. Surat is located in Western India, in Gujarat State, and is the commercial capital of Gujarat. Arab Jews came to India as traders in the wake of the Portuguese and these Baghdadis, as they came to be known, especially the Sassoons of Bombay and the Ezras of Calcutta, eventually established manufacturing and commercial houses of fabulous wealth. The majority came from Iraq, thus giving the community its name, though smaller groups came from countries such as Syria and Afghanistan. Unlike other Indian Jewish communities, whose oral traditions attest to their presence in India as long as 2000 years ago, sir David Sassoon is the most illustrious name of this community of Jews. 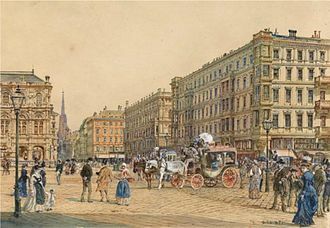 In Mumbai, the Jewish community was concentrated in the Jacob Circle area in Central Bombay and they had totally integrated themselves with the society around them. Their dress used to be traditionally Indian and their womenfolk wear saree, and bangles. Their surnames and family names were like those of other Indians and their culinary habits are influenced by Indian. Persian speaking Jews closely related to Baghdadi Jews from Afghanistan and Iran came with the Ghaznavad and Mughal invasions of Mahmud, the most obscure of Indian Jews, they were traders and courtiers of the Mughals. Hebrew version of Nizami's "Khosrow va Shirin"
Statue of Rashid-al-Din Hamadani, The Persian physician of Jewish origin, polymathic writer and historian, who wrote an enormous Islamic history, the Jami al-Tawarikh, in the Persian language during Mongol rule. He was also Grand Vizier of Ilkhanid court. Synagogue in Tehran. A postcard from the Qajar (1794–1925) period. Chief Rabbi Jacob Saul Dwek, Hakham Bashi of Aleppo, Syria, 1907. Syrian Jews worship in Ades Synagogue. Renowned as a center for Syrian Hazzanut (Syrian Jewish liturgical singing), Ades is one of only two synagogues in the world that maintains the ancient Syrian Jewish tradition of Baqashot, the marathon Kabbalistic singing held in the early hours of Shabbat morning to welcome the sunrise over winter months. A Wonder Pot (right), a top-of-the-stove baking utensil invented during the austerity period to help homemakers bake cakes and casseroles without an oven. 1956 Ministry price notification poster placed inside a local grocery store in Kfar Saba. Monument "Prayer" in Ramat Gan in memory of the Jews who were killed in Iraq in the Pogrom "Farhud" (1941) and in the 1960s. 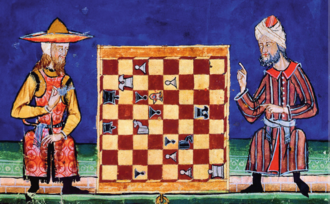 A Jew and a Muslim playing chess in 13th century al-Andalus.